The ultimate cost of legal representation in a family law matter depends upon the issues which are present in the case. The most inexpensive divorces are those where the husband and the wife are in complete agreement about what the issues are and how they should be resolved. If children are involved, or if there is property involved, the costs will end up being higher because those are additional issues which must be addressed. Most family law attorneys charge by the hour, as does our office. The hourly rate charged by a family law attorney is typically based upon the attorney’s experience and knowledge of the law. Generally speaking, in the Twin Cities area attorneys charge between $125.00 (on the extreme low end) and well over $300.00 per hour (at the other extreme). Our office has litigated, and achieved favorable results, against many of the “big name” family law attorneys in the Twin Cities – attorneys who charge significantly more than we do. Our office is aware that attorney’s fees in family law matters can be, or become, very high. As a result, we try to keep our clients’ costs as reasonable as possible. We encourage our clients to do their own “legwork” in an effort to keep costs down. At the same time, we can take all of the steps necessary to prepare a case for court if our clients are unable to do their own legwork. Although in the past our office has employed legal assistants and paralegals, with today’s technology (voicemail, document scanners, voice recognition software) we do not believe that such staff is generally necessary. 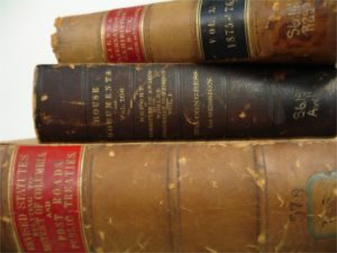 In fact, what we have noticed is that the billing statements that we have seen submitted by the big name firms frequently contain what we consider to be double or even triple billing for matters because the client first discusses the issue with a paralegal (leading to a charge at the paralegal’s hourly rate), followed by further consultations between the paralegals, associate attorneys (leading to more charges at their respective hourly rates), and, finally, the lead attorney on the case. It only stands to reason that the charges will be higher when the same information has to be communicated two or three times before the lead attorney on the case is aware of the issue and can make a decision or recommendation. In addition, because it is difficult if not impossible to bill clients directly for 100% of the expenses associated with paralegals, the additional overhead expense would be added to our attorneys’ hourly fees. If we hired paralegals we would likely increase our attorneys’ hourly rates by $50.00. We believe that the vast majority of family law cases are typically not so complex that a team of attorneys and paralegals is necessary to prepare or litigate the case. At the same time, however, our attorneys may, and frequently do, consult with each other, and other family law attorneys, for other opinions with regard what course of action should be followed in a particular case. Our attorneys have litigated or settled many contested custody cases, contested property division cases, contested child support and spousal maintenance cases. We have litigated many evidentiary hearings and domestic abuse hearings. We have read hundreds of custody evaluations. We believe that we are familiar with the approaches which work best in family law proceedings, and those which have not led to favorable results. At the end of the day, however, our attorneys believe that it is the client (who must live with the ramifications of what occurs) who ought to determine what course of action to follow. It is the job the attorney to explain what the law is, and what the attorney’s experience has been under similar circumstances. Our law firm requires that a retainer be paid prior to an attorney assuming representation. The amount of the retainer depends upon the issues in the case. Our office does provide a free one-half hour initial consultation. Each county also charges a filing fee of approximately $400.00 to each party in proceeeding. A $100.00 motion fee is also charged each time that a motion is brought by a party. The counties which have do departments of court services to conduct child custody evaluations also charge for their services (typically $500 per party). Private custody evaluations may cost significantly more, but tend to be more thorough and may be worth the additional expense. Our office does accept credit cards through PayPal.